I was privileged to host the SLANZA Term 4 event in our library last weekend and was blown away by the passion, and in depth conversations I witnessed from the 37 participants. Being a new librarian I find it invaluable to attend as much professional development as I can. The potential and mind expanding properties of professional development is like steroids for your brain. One participant on Saturday noted that after PD she lies awake for hours with ideas flashing in and out of her consciousness as she tries unsuccessfully to sleep. This is a feeling and experience I am familiar with. 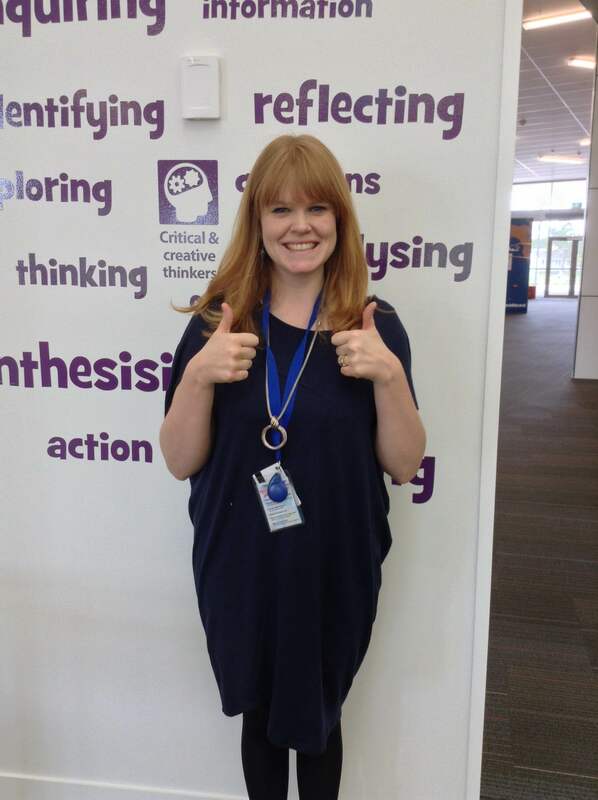 Whilst professional development offers you a lot of different approaches and ideas for pushing your own learning and library space further, it is also important to take away some warm fuzzies when what you are already doing is what’s being shared by someone else. Brain TWIN TIME! 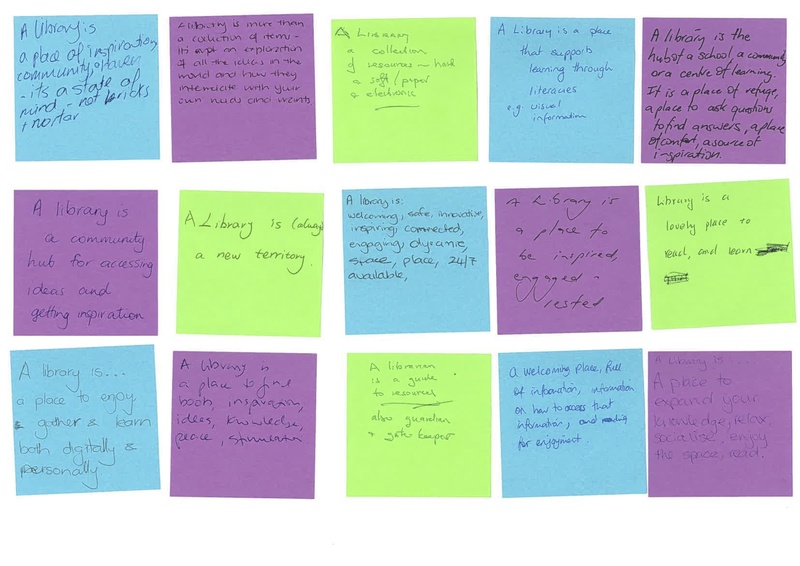 Check out the thinking of our Librarian attendees on Saturday about what a library is…. I am a big believer in the power of technology for positive change in society, but have been forced to re-consider my viewpoint after reading two professional texts and hearing a rousing keynote at the South Island Children and Young Adult Conference in Balclutha this year. Did you know that humans are hard wired for interaction? According Nathan Mikaere-Wallis (A prominent New Zealand Neurologist) there is a detrimental impact on children’s earliest development and later level of mental dexterity if they are left sitting in front of a box with flashing lights (TV or I-Pads or computers) between the ages of 0 – 4. Want to hear more? Here’s an interview he completed for Radio NZ. Then I completed the fabulous book; Mind Change by Baroness Susan Greenfield (Another Neurologist), she shared a literature review full of the impacts that digital technologies are having on our level of comprehension, attention spans, and ability to deeply comprehend text. Did you know that just by a single person using a digital device in your lecture off task causes everyone to learn 10-15% less and score 20% less on an exam? Scary stuff huh? How will you ensure your service is top quality if you are sole charge? The majority of the librarians I met through Professional development, work within Sole Charge positions for at least a small proportion of their week. They extolled the virtues of professional development for networking, catching up with and making new friends. If people are hard wired for interaction, and we know that the best ideas are those that are created with others – why do we work in isolation? Luckily Professional development is there to assist us to create our own learning community and to build your professional knowledge. If you are not already on School Library List Serve I suggest you sign up, this is one form of ongoing professional development that can be your sounding board if you are on your own. #Edchatnz is a great hashtag to follow if you want to know the haps in NZ Education so that your service is addressing the growing and evolving changes of your teaching staff. Read, Read, Read, Read then Try, Try, Try, Try and Share, Share, Share, Share – Twitter, blogging and presenting at Professional Development events will enable you to do this. I have met so many people through Twitter that I have only met in person through PD, but interact with on a regular basis online. Auckland City Libraries are coming out to chat with me about 3D printing and their process for setting up a make space through my presentation at LIANZA. I would have not a clue how to ensure that we have a programme that is sustainable and making the most of the system we purchase without asking for help with it. What is the future going to entail for libraries and how will I make sure I’m ready? Well…we can only guess at what the future will entail. The best part of U-Learn 2014 for me was attending a 3D printing workshop with Colin from Marina View School. It sparked so many different ideas I literally bounced out the door. Why can’t we have a 3D printer to bring to life the imagination of the authors we love so much? I loved listening to the innovative and inspiring way that the Christchurch public sector have dealt with the impact of the earthquake and are re-building their service. They have temporary libraries in malls – ah brilliant idea, I can do my shopping and book lending at the same time? Sign ME UP! How do you know what the issues might be before they occur? Well you don’t really, and being close to the space can make it difficult to pick up issues or points for consideration. I had a group of Northland Librarians through last term on Library visits and I enjoyed hearing their caveats about our space and systems. In particular our lack of security gates, collection and high trust model. It was valuable to discuss their concerns and assure them that we do not hold THE recipe for success, we have developed a vision that is best suited for our school, our values and our vision and I hoped they would do the same. The more connections you make between what you know, what others know and where to next, the better service you can offer. That’s the power of professional connections and development. I am looking forward to making further connections in the next year through Twitter, Face-to-Face Events and List Serve. ← Modern Learning started in Libraries – so what is a future focussed library?